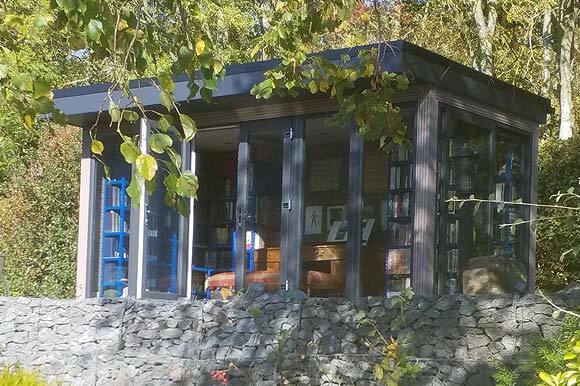 Garden Studios – How would you use yours? Constructed to the highest standards with a clean and contemporary finish to both the interior and exterior. 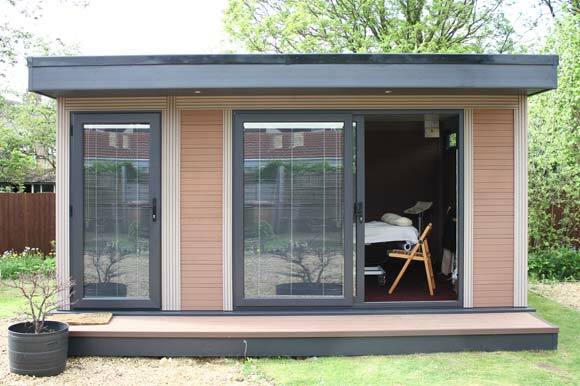 Your composite garden room will be fully insulated and maintenance free, offering you a cost-effective building in your garden. 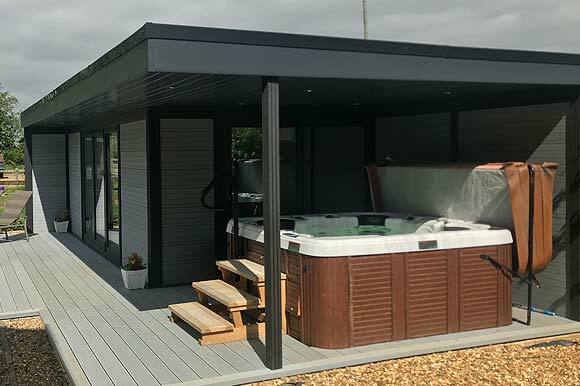 Composite Garden Studios are designed to meet the requirements of those who seek a luxurious, practical and efficient garden retreat at a cost effective price. Its unique timber-like polymer construction maintains its high performance and appearance for years to come, so that you can have peace of mind you won’t have to fork out a penny for any maintenance work and can say goodbye to the paint brush. Our guarantee to you is that your new addition will never rot or warp and will never require any painting or staining. 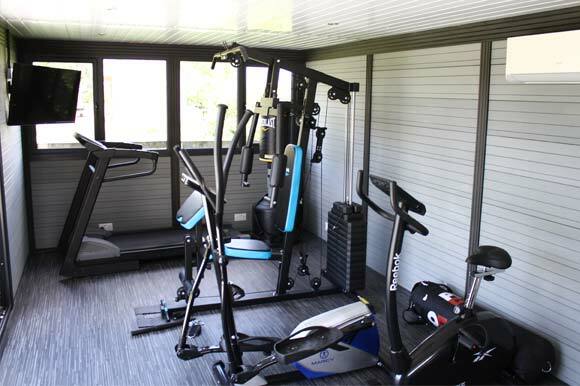 These units are a practical, all year round solutions for adding extra room to your property that are ideal for working studios. Our internal partition unit gives you the option to have a split studio and so create separate space. 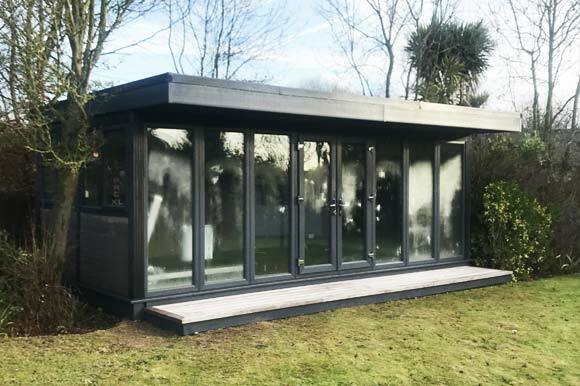 With multiple insulation features, a BBA certified waterproofing system and exceptionally robust frames – you can be sure that your Garden Studio will withstand the test of time against the elements, whilst performing thermally and saving you money bills for years to come. 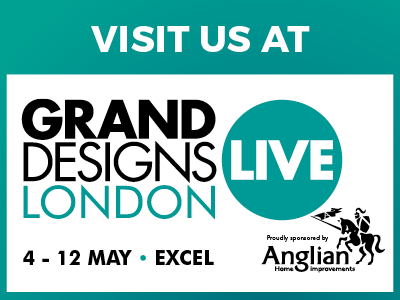 Not only this, if you are looking for something that can be installed quickly and seamlessly with none of the fuss of a traditional build – you have found the ideal solution. 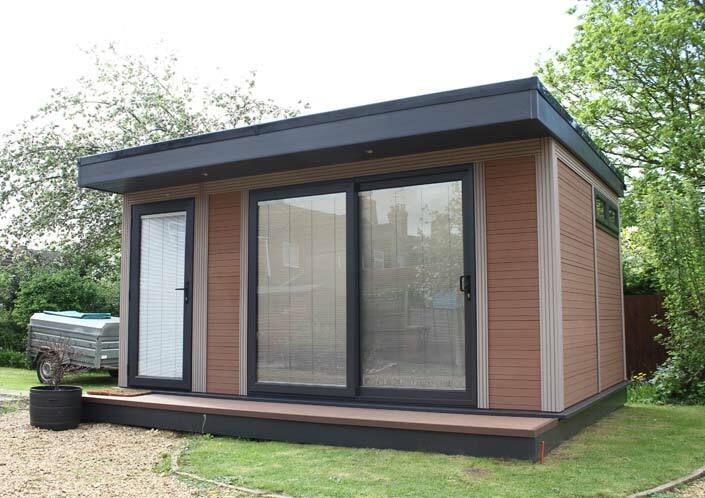 Our concealed joint system means that each Garden Room is installed quickly with minimum disruption to your home, without compromising appearance or performance. Choose to incorporate heating, additional walls, bi-folding or sliding doors to customise your new living space down to the very last detail.